Home > Aids to Daily Living > Canes > Quad Cane, Narrow Base 10 1/4" x 6". 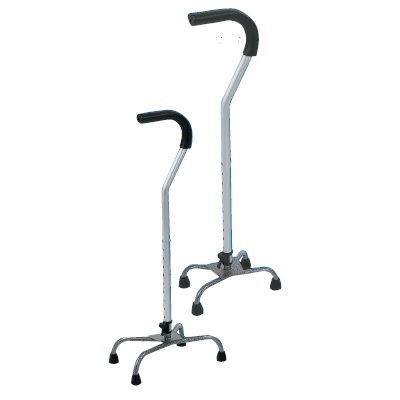 Height adjusts 29 1/4" - 38 1/4"
Quad Cane, Narrow Base 10 1/4" x 6". Height adjusts 29 1/4" - 38 1/4"
Sturdy aluminum with adjustable shaft and chrome-plated base. Easy-clean handgrips are latex-free rubber. 250lbs. weight capacity.